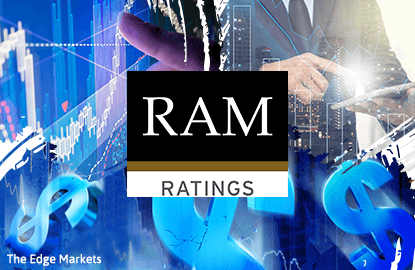 KUALA LUMPUR (March 28): RAM Ratings has assumed crude oil price to average US$40 and US$45 for 2016 and 2017, respectively. In a statement today, RAM’s head of consumer and industrial ratings Kevin Lim said that RAM anticipates that the significant oversupply gap of about 2.0 million barrels per day (b/d) at end-2015 will narrow slightly by mid-2016 and more significantly in 2H 2017 as the pace of global production slows against relatively resilient consumption. “This is expected to provide a gradual upside to crude prices in 2H 2016 while a more significant uptrend is anticipated for 2H 2017, although prices remain constrained by oversupply and a substantial inventory overhang,” he said. Lim said that in the coming months, he expects crude prices to stay volatile and pressured by significant uncertainties over supply growth as well as concerns about unsustainable consumption growth in major consumer markets. He explained that oil prices plummeted more than 75% from the previous high of about US$115 in mid-2014 to touch US$26 in January this year, in response to resilient robust growth in global crude production that has outstripped demand. He said that on the back of a decade of strong expansion in output of unconventional oils, largely from US shale formations, global crude production grew at about 2.4 million barrels per day (b/d) over the last 2 years, reaching 95.7 million b/d in 2015. “Notably, the pace of output growth was almost double that of consumption growth at 1.0-1.3 million b/d over the same period; consumption reached 93.7 million b/d last year. “The gap between excess supply and consumption widened from an average of 0.9 million b/d in 2014 to about 2.0 million b/d last year,” he said.